The Itom factory was founded in Turin by lawyer Corrado Corradi, and began production in 1948 at Via Francesco Millio, moving later to S.Ambrogio Torinese. The 1957 Astor Super Sport and Competizione achieved 75 Kph. Itom sold a tuning kit for competition use comprising high compression cylinder head, chrome bore cylinder, Dell Orto SS20 carburettor, expansion chamber and piston. The pistons were of various types with either 2 or 3 rings. 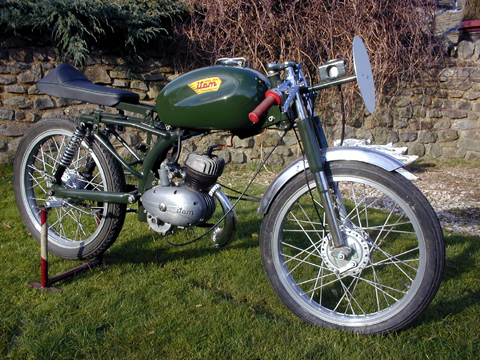 1957 Itom Tabor 65cc Classic Racing Moped 3-speed foot-change gearbox, flanged alloy rims and stainless spokes. The Itom has a special place in the hearts of 1950's racing fans, as Mike Hailwood's first trophy was at Blandford on 10 June 1957 for his 3rd place finish on a 50cc Itom. 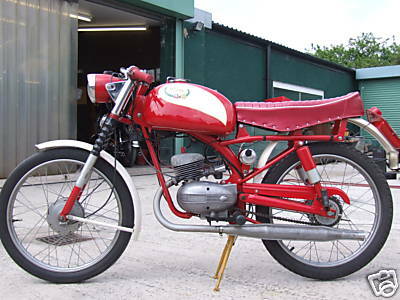 This superb 50cc 3 speed racer is the same model that Mike Hailwood rode. It has a reconditioned engine, alloy wheels, full width hubs, and is a real classic racing machine. 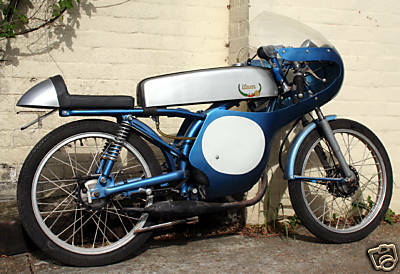 1959 Itom Astor Competizione The 65cc spec includes a side draft sports Dellorot carburettor, 3-speed twist grip gearbox and high gearing for a top speed around 60mph. 3-speed foot-change gearbox and flanged alloy wheels. The Itom has a special place in the hearts of 1950's racing fans, as Mike Hailwood's first trophy was at Blandford on 10 June 1957 for his 3rd place finish on a 50cc Itom.